In a dark windowless room at the back of the Village Hall, before it was torn down, was the jail cell. It measures about 6x6x8 feet and looks like something out of a medieval torture chamber. I have no idea when it was last used to house offenders. 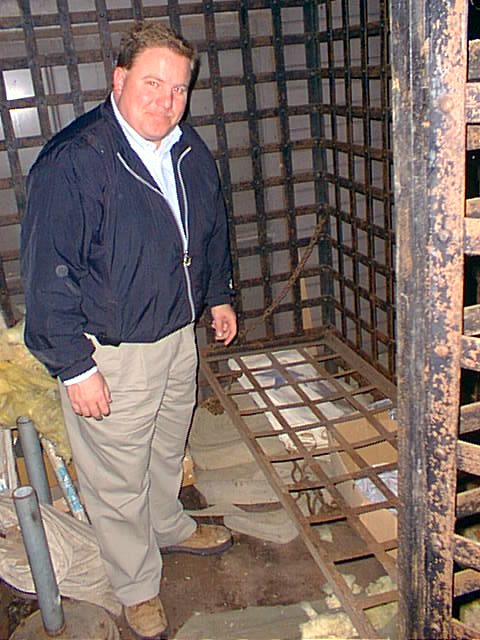 In 2001 the village donated our jail cell to the Van Wert Historical Museum, but we are still allowed to use it! Therefore you had better be on your best behavior while you are in the village! 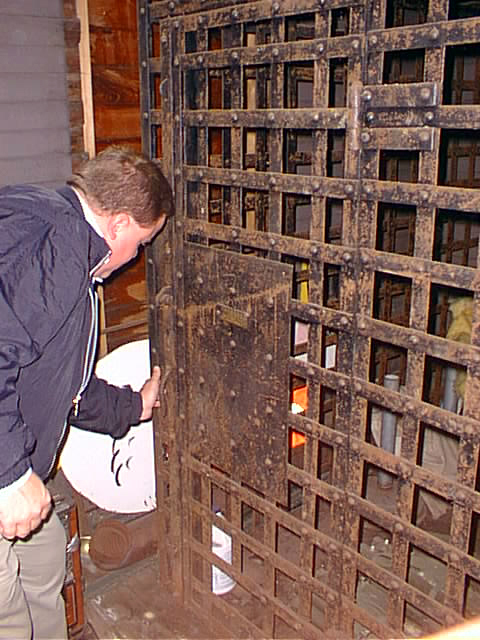 The 2001 photo shows our mayor at the time, Doug Ruen, unlocking the door. The cell contains a deluxe bed. It was specially made for the village, probably in the 19th century.